← Register for Fall Skills Training in West Seattle! The Seattle Office of Emergency Management has just announced that registration is now open for their first public offering of CERT Training. Details are visible in the email below, or here: CERT Training announcement – 2012 (.pdf format). 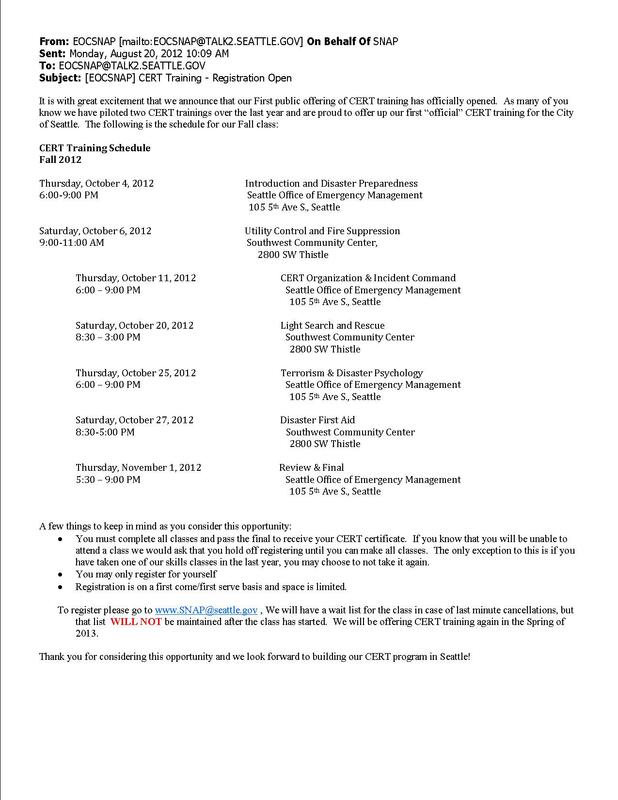 This entry was posted in Announcements and tagged CERT Training, Seattle Office of Emergency Management, SNAP training. Bookmark the permalink.